The Runner | What Do We Celebrate? Would you celebrate the existence of a culture that claims to own the land that you and your people have lived on for 10 times longer than those who colonized it? How about 100 times? Or 1000? The Department of Canadian Heritage is contributing $200 million for events to commemorate the 150th anniversary of Canada. The previous government allocated $150 million for infrastructure for these events to be run, and our current government doubled that amount to $300 million, according to a report from Global News. In total, $500 million has been budgeted for events and celebrations to mark the anniversary. “I had no idea there was that much money allocated for the celebrations,” says Gabriel. Despite the fact that a portion of the money was set aside for celebrating Indigenous culture, Gabriel says that he hasn’t seen that money go back into his community. Gabriel believes that Canada’s 150 celebration contributes to the erasure of the Canadian government’s crimes against First Nations. The event will encourage people to think of a wholesome, whitewashed Canada instead of the Canada responsible for atrocities. “Nobody will say, ‘I’m celebrating 150 years of Genocide.’ They say, ‘I’m celebrating 150 years of fur trade, free market capitalism, resettling of the land,’” says Gabriel. The 150 celebration is just the latest Canadian effort to ignore the existence of the Indigenous people who have lived on this land for tens of thousands of years, perhaps even longer. One archaeological dig in North America found the bones of mastodons turned into anvils and stone tools an entire 130,000 years ago. Though there was no evidence of human bones, who else could create tools such as this? What about the discovery of a 14,000-year-old village on Triquet Island, 500 kilometers northwest of Victoria, by UBC anthropology students? And recently, The Vancouver Sun interviewed Paulette Steeves, a Cree-Metis woman who has been digging into the oral histories of Indigenous peoples in North America and discovered that they trace back over 100,000 years. “[They’re celebrating] the usual stuff: genocide, colonialism, perpetuating the myths of Canada. It all seems self-evident but it’s really not to most people,” says Lightning. Though the nation continues with its tradition of Indigenous erasure, the province of British Columbia has added one element to their celebration. They call it Canada 150+, hoping that the plus sign is enough to acknowledge thousands of years of Indigenous existence. “150 years doesn’t cover everything that’s happened in so-called ‘Canada’. It’s been way over 150 years that our peoples have been oppressed,” says Davis. Lightning echoes Davis’ frustration over the use of the plus sign. Many Canadians see their country as a long-standing refuge for multiculturalism and inclusivity. But most overlook the fact that establishing this nation required the genocide of Indigenous people. The colonial wars of the fur trade and the germ warfare of smallpox predates the nationhood of Canada by a long shot. Later, to make Indigenous people desperate enough to sign treaties and move to reserves, the early Canadian settlers enacted starvation policies, not allowing the trade of food to their communities. When treaties were signed, the agreements were often about agriculture to recover from the disease and famine that colonialists imposed on them. Instead of honouring the treaties, the government banned communities from using newer farming implements and technology. Then there are the more recent policies of cultural genocide as noted by the Truth and Reconciliation Commission. Much of this began with the Indian Act of 1876, which pushed an assimilationist policy on Indigenous people and forced remaining Indigenous people onto Canadian reserves. Colonial government systems uprooted traditional Indigenous governance structures, replacing them with band councils. To ensure compliance, “Indian Agents” were dispatched to restrict Indigenous people leaving their own reserves, devastating trade and culturally important journeys. Let’s not forget the removal of 150,000 Indigenous children from their homes, 6,000 of which died in the Indian Residential School System. These schools were meant to “kill the Indian in the child,” according to John A. Macdonald, the alcoholic forefather of this 150-year celebration. Are we celebrating this institutionalization and theft of Indigenous children who were violently abused physically and sexually—who were beaten for speaking their Indigenous language in institutions where there were graveyards on campus for students to bury their classmates? This system only ended 21 years ago, in 1996. Of course, there was the strong-arm assimilationist policy—the Sixties Scoop of Indigenous children into “care” in the 1960s up through the 1980s. This affected 20,000 Indigenous children who were taken from their families to be adopted or fostered. Intergenerational trauma from both grave and despondent acts of genocide is still affecting communities today. The Canadian government has fought every lawsuit over the Residential School System and The Sixties Scoop, and the Conservatives even destroyed evidence of the Residential Schools during the Truth and Reconciliation Commission. Is legal power established through a court system set up on Native land also something that we’re celebrating? What’s more, these communities were thrown off their land by the marginalization of other groups as well, such as the Chinese railroad workers who dealt with the Chinese head-tax. So what about the treaties? 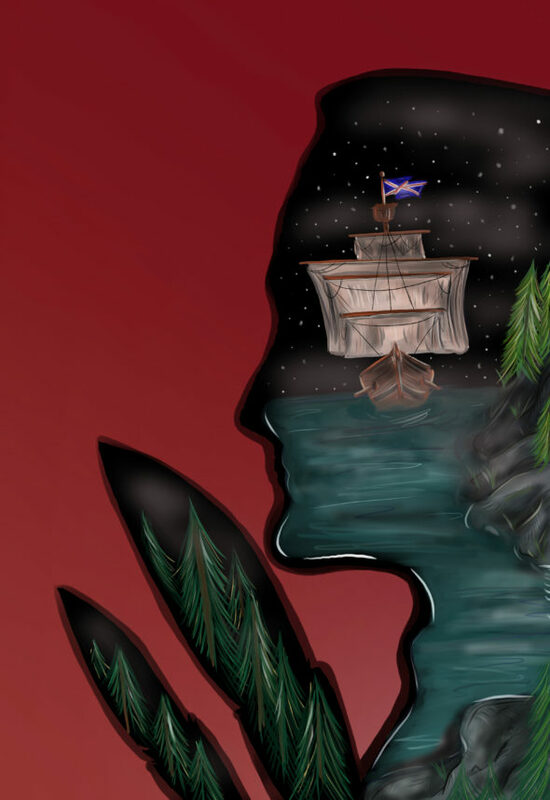 Many talk about the treaties that lent out the land in much of Canada, but what do they mean? They were comprehensive agreements made between the provincial and federal governments with different Inuit, First Nations, and Metis people that obligated the government to assist them in terms of education, medical services, trade, and economic benefit for and from the land. Today, the lack of adherence to these obligations shows in Indigenous communities. The government still neglects their critical infrastructure, causing long-term boil water advisories in 98 reserves and short-term advisories in 28 reserves. Houses are condemned but people are still living in them. Schools are built on contaminated land, and go unused while alternatives are not planned. Suicide crises have impacted reserves from coast-to-coast, especially for Indigenous youth. In January of last year, The Canadian Human Rights Tribunal found Canada guilty of discriminating against Indigenous children by underfunding reserves. Although Canada continues to do this, the tribunal has no ability to force them to change. Despite representing less than 10 per cent of the population, Indigenous children account for 62 per cent of the 7,000 children-in-care in B.C.. This happens when Aboriginal agencies are underfunded and running under confusing agreements. There’s nothing confusing about the need to acquire Free and Prior Informed Consent for resource extraction projects on Indigenous land, as outlined by the United Declaration on the Rights of Indigenous Peoples that Canada helped create but failed to adopt. Mining, fish-farming, dam-building, oil fracking, and anything else the “resource economy” can devour happens across the country, despite opposition from Indigenous peoples. Imperial Metals’ mine in Mount Polley Secwepemc territory, Site C Dam in Peace River Treaty 8 territory, and Kinder Morgan’s Trans Mountain expansion have and will continue to be major issues for Indigenous people. Kinder Morgan has a pipeline running from Alberta through the West Coast and ending in Burnaby. It crosses through traditional unceded Indigenous territories and was built without the consent of many Nations along its path, including Kwantlen First Nation. The expansion of this pipeline will triple its capacity for transport from 300,000 to 890,000 barrels of oil a day. When it comes to resource extraction, 150 years later, Canada has found its new gold rushes and fur trades to celebrate in the fossil fuel industry. So what alternatives are there? What would be a better way to commemorate Canada 150+? For Lightning, the answer is simple. He hopes the message will connect with a wide audience. Thus, he maintains his pride in his community and wants to celebrate excellence within the Kwantlen First Nation instead. “If I were approached tomorrow by Kwantlen youth, as in a young person in our community, and I asked them what we should be doing in our Canada 150 celebrations—we have always been doing it. We have always been protecting our water, our spirituality and culture and we don’t need people outside our community to acknowledge that,” he says.